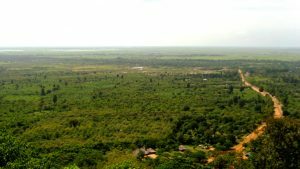 Phnom Seda Orn Classification Nature Wildlife and Preserves Location Ang Kor Village, Trorpeang Pring Commune, Kampot District.Among the chief tourist attractions in Kampot, mention must be made of Phnom Seda Orn, Kampot. 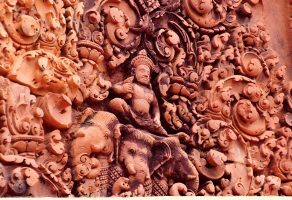 Plan a visit to the Phnom Seda Orn, Kampot on exotic sightseeing tours in Kampot in Cambodia. 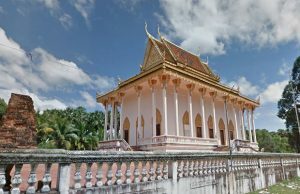 Just located at a distance of 6 kilometers from the provincial town, the Phnom Seda Orn, Kampot is a major tourist attraction. It will just take 10 minutes to reach your desired destination. If its nature and wildlife that attracts you, you must plan a visit to the Phnom Seda Orn in Kampot. One of the widely-known nature and wildlife preserves, the Phnom Seda Orn, Kampot is the best place for nature lovers and wildlife enthusiasts. Adorned in untamed flora and fauna, the Phnom Seda Orn in Kampot should feature first and foremost in any tourist's itinerary. 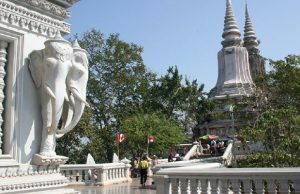 If you are visiting Phnom Seda Orn, Kampot, you must also catch a glimpse of the attractions nearby. The Rabbit Island is a chief tourist destination close to this verdant nature reserve. This breathtaking island has endless white sandy beaches flanked by coconut trees. The azure waters lure you to plunge in. You can enjoy a number of water sports here. For absolute adventure lovers, snorkeling is the perfect option. You go for a thrilling snorkeling experience around the rocks. You will get to see a variety of marine life here. You can also visit the Bokor Hill Station near Phnom Seda Orn in Kampot.